Opera - will it benefit from a level playing field? 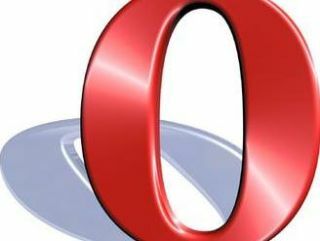 Opera CEO Jon von Tetzchner believes that Microsoft should either ship Windows with all major browsers, or none at all. Von Tetzchner was key to Opera's complaint to the EC over unfair practices by Microsoft in bundling its Internet Explorer with the dominant operating system Windows. In an interview with TechRadar, the Opera man is still angry that Microsoft is benefiting from '10 years of breaking the rules' and insisted that the only way to balance things up in the future would be to offer Windows 7 with all of the rival browsers or none of them – merely a downloader to choose from a number of options. "If you have a level playing ground then you will see if these people are really choosing Internet Explorer," joked von Tetzchner, in reference to TechRadar's interview with Microsoft's John Curran. "It is difficult to rectify the unfair playing field now, but the ideal scenario is to have equal choice; that you are provided with all of the browsers when you use Windows. "So perhaps you could remove Internet Explorer and just have the option to download a choice of browsers. "The best solution would be to include multiple browsers, although I'm thinking choosing a browser will not be that big of a deal. "People appreciate choice and will gravitate to the one that they like the best and that suits them, there are differences with all the browsers." Von Tetzcnher had little truck with the suggestion that original equipment manufacturers (OEMs), the people that make the computers, should be bundling in all the major browsers. "If you go back in history a little bit here, in the beginning OEMs were not allowed to include competing browsers. It was in their contract [for Windows] that they could not include browsers. "Now from the first court case there was a change – but even after that no other browsers were included anyway. "The OEMs are too tied to Microsoft." The Opera CEO is convinced that his company would be a major beneficiary, should IE no longer be bundled as the default web browser within Windows. "Basically we welcome the competition," added von Tetzchner. "The more competition, the more people begin to look for the choice that most suits them in the browser market. "…for a while there, before Firefox gained traction, it really began to look like Microsoft would get a near-100 per cent market share and that was a scary scenario. Von Tetzchner is more than a little sceptical about figures that show Firefox creeping past 20 per cent of market share. "When it comes to the figures in the market the problem is that they are biased towards US sites – what sites are these counters on? "Our US market share is not as good as we would like, but in global terms it is very different."